When I first read about The Packet Inn, in Steine Street Brighton during the 1860s, my first thought was what a witty name for an Inn! On looking deeper into the history of the building I realise it was probably named after the packet boats. Steine Street is just beside the seaside, where the Chain Pier would have been. 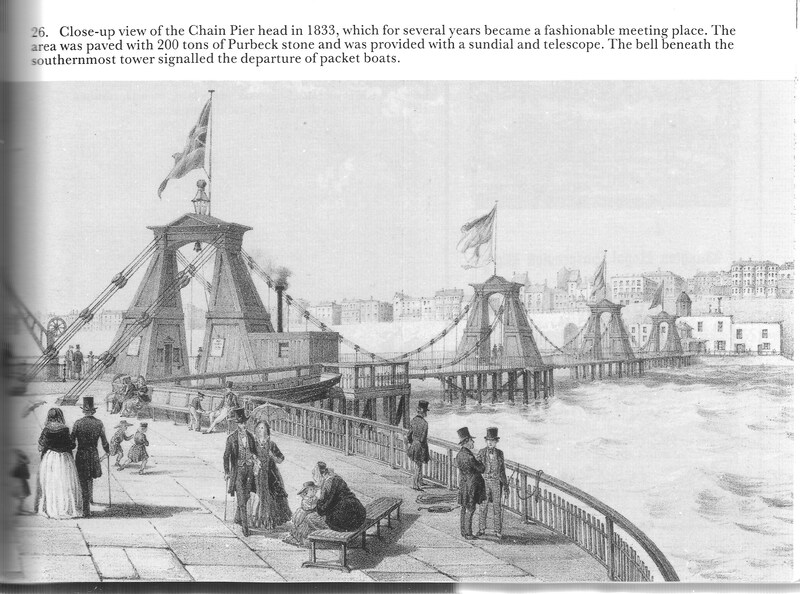 This view of the Chain Pier shows where the packet boats departed from. A “packet ship” was originally a vessel employed to carry post office mail packets to and from British embassies, colonies and outposts. In sea transport, a packet service is a regular, scheduled service, carrying freight and passengers. The ships used for this service are called packet ships or packet boats. The seamen are called packetmen, and the business is called packet trade. So I guess this is where the Packet Inn got it’s name from! This entry was posted in John Dinnis and tagged Brighton, History. Bookmark the permalink.